When my friend Linda called me from Washington D.C. recently while on a trip, she asked me what I wanted to her to bring back for me. For some crazy reason, what shot out of my mouth was, “An Obama bobblehead!” She wasn’t sure she could locate one, but she did! 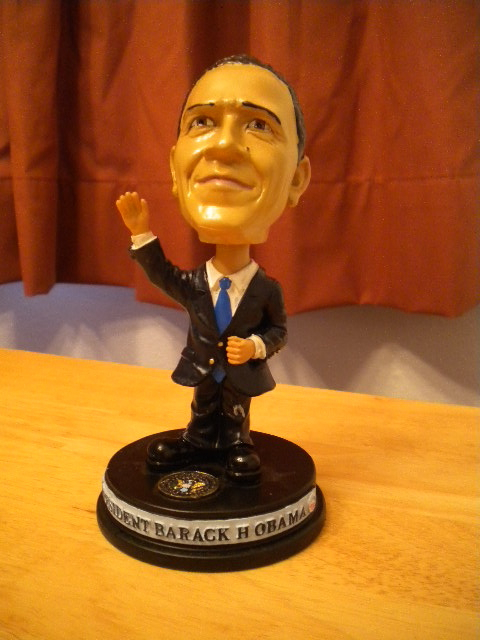 The first thing my husband said was, “Why does he look like he’s saluting Hitler?” Good point. Does anyone think this was done intentionally, or are we just a wee bit sensitive?